Size of this JPG preview of this PDF file: 800 × 479 pixels. Other resolution: 320 × 192 pixels. 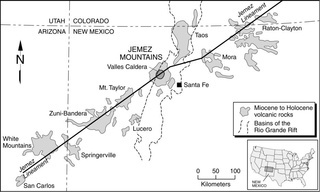 Location map of the Valles Caldera, north-central New Mexico. 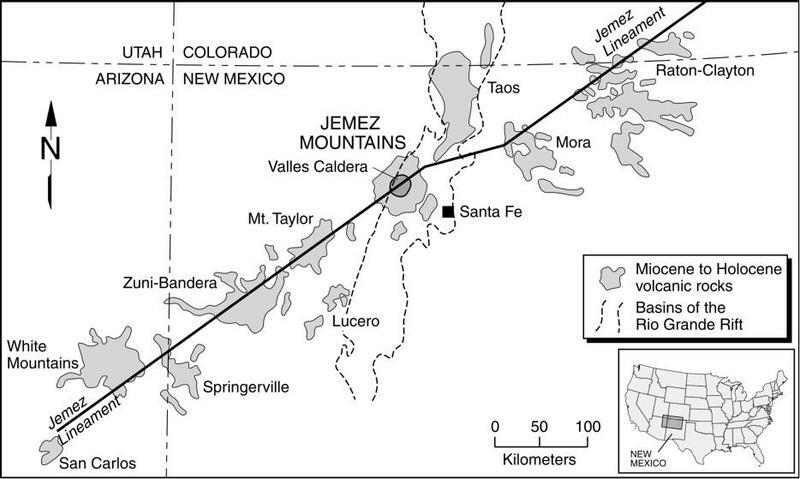 The caldera lies at the intersection of the Jemez lineament and the Rio Grande Rift. Modified from Goff and Janik (2002). This page was last modified on 16 May 2014, at 10:05.